4 semesters (2 years) including a Master’s thesis implemented during the last two semesters. The Degree “Master of Science in Physics” comprises 120 ECTS Credits. The PHYSICS International Master of Science program offers a high level poste-graduate education. Outstanding graduates of the program have the opportunity to continue towards a PhD in Germany and many other countries without further requirements. The curriculum is composed of four semesters divided in two parts. While the 1st year (1st and 2nd semesters) consists of lectures, seminars and the lab course, the 2nd year (3rd and 4th semesters) provides freedom to fully concentrate the one-year research project, including the Master’s thesis. Two elective lectures and the one-year research project offer the students the possibility to specialize in a topic they are interested in, whereas the mandatory courses of the program ensure an excellent education in general physics. 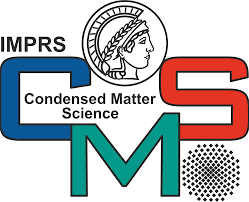 The variety of physics institutes of the University of Stuttgart, in combination with the cooperating groups of Max Planck Institute for Solid State Physics offer diverse range of research topics for the one year research project. (1) With oral examinations the candidate is to demonstrate that the interrelations of the field of study to be examined are understood and that particular questions can be properly allocated to these interrelations. (2) Oral examinations are conducted by a committee consisting of all examiners having contributed to the module. If only one examiner is present at an oral examination the examination requires the presence of a knowledgeable assessor. (3) The duration of an oral examination is as a general rule between 30 minutes and 60 minutes. The exact duration is fixed by the Examination Board on the suggestion of the examiner and will be published in the course handbook. It has to be announced at the beginning of the corresponding semester. (4) The essential facts and the results of the oral examination are to be documented in a written record which has to be signed by the examiner and the assessor. The result of the examination will be fixed by the examiner after hearing the assessor and is to be communicated to the candidate immediately after the examination. (5) Upon application, students of the same program can be admitted to participate as auditors at an oral examination provided that enough space is available. The admission does not attend to the counselling and announcement of the examination results of the examinee. Out of solid grounds or if the candidate applies for it, the public can be excluded from the examination. (1) With written examinations the candidate is to demonstrate the ability to understand and solve a problem of their subject within a given time limit and with a limited collection of resources. (2) Written examinations are to be evaluated by at least one examiner. If the examiner grades the examination results with “failed” (in German "nicht ausreichend") the evaluation by a second examiner is required. In this case one of the examiners has to be a professor. The final grade then is the average of the two individual grades (§ 16 (2) Sent. 3). The grading procedure should not take more than four weeks. (3) The duration of a written examination is as a general rule between 60 minutes and 120 minutes. The exact duration is fixed by the Examination Board on the suggestion of the examiner and will be published in the course handbook. It has to be announced at the beginning of the corresponding semester. (4) Written examinations can be conducted completely or partially with the multiple-choice method. The corresponding examiner is responsible for the problems and the evaluation. The problems must allow reliable results.